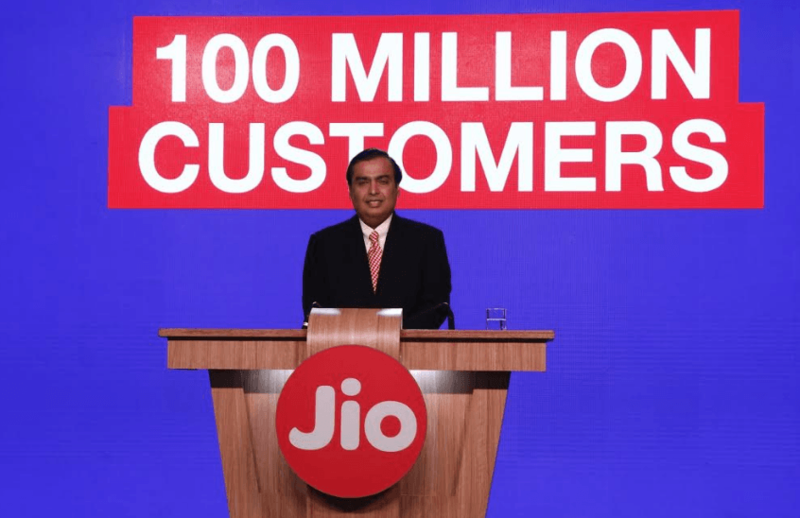 Reliance Jio Announces Jio Prime Subscription at Rs. 99: What is it and Who All Can be Enrolled? Just after Mukesh Ambani announcing the new membership offer, several people were in a dilemma regarding what precisely the membership plan offers. Here’s everything you need to know about the new ‘JioPrime’ subscription scheme. What is JioPrime: JioPrime is the latest subscription offer from the Mukesh Ambani’s brainchild Reliance Jio under which the company will provide the ‘New Year Offer’ benefits for the customers until March 31, 2018.
Who Can All Subscribe: Mukesh Ambani clearly quoted that the JioPrime subscription offer will be limited only to the existing 100 Million subscribers. Also, he announced that the plan would be open for subscription from March 1st, 2017 to March 31, 2017. A One-Time Subscription Fee of Rs. 99: The current 100 Million Jio consumers, who are interested in enrolling the Jio’s new JioPrime service have to pay a one-time subscription amount of Rs. 99 between March 1st, 2017 and March 31, 2017. Perks of ‘JioPrime’ Subscription: Aforesaid, with the JioPrime subscription, the company is providing all the benefits of ‘Jio New Year Offer’ that includes the 1GB data per day, free Jio Digital apps such as JioCinema, JioMusic, JioPlay, etc., and unlimited roaming free voice and video calls as well as unlimited SMS until 31st March, 2018. Here’s the Catch: After enrolling into the JioPrime membership, every customer has to pay Rs. 303 per month or Rs. 10 per day to enjoy the free services mentioned above for 12 months up to March 2018. How to Enrol as a JioPrime Member: The JioPrime Membership program enrollment window will remain open from 1st March to 31st March 2017. And customers can obtain from the MyJio app itself. What if I don’t Enrol in the JioPrime Membership: If you’re not willing to enter the join the JioPrime service, then you can use the Jio network by paying the regular tariff plans from 1st April 2017. That’s it from Jio for today. What do you think of this new ‘JioPrime’ Membership offer from Jio? Did you like it? Let us know your thoughts in the comments section below. So after the 99rs Prime membership. We need to again pay 303 for monthly bases! But it seems that people aren’t getting this Prime membership scheme cause everyone thinking that they have to pay 99 for the one time only. This means jio is fooling everyone. Cause common people don’t know this and they will avail the Prime membership and then couldn’t do recharge on their phone?